UPDATE (March 18, 7:15 p.m. PT): The Los Angeles Dodgers announced the results of Andre Ethier’s x-rays. UPDATE (March 18, 5:00 p.m. PT): Dodgers manager Dave Roberts said after Friday’s game he didn’t have the results of Ethier’s x-rays, but held out hope the situation isn’t serious. “Hopefully after a day or two of treatment he’ll be back out there,” Roberts added. 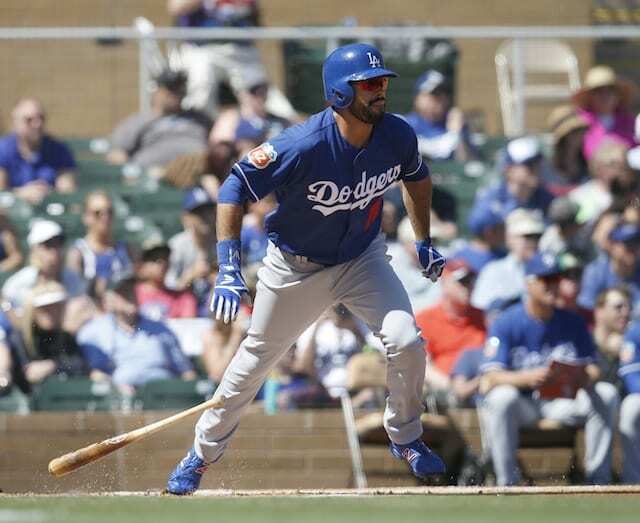 UPDATE (March 18, 4:00 p.m. PT): Los Angeles Dodgers outfielder Andre Ethier was taken for x-rays after fouling a pitch off his leg in the fourth inning of Friday’s game against the Arizona Diamondbacks. The Los Angeles Dodgers again entered Spring Training with an abundance of outfielders, though had some clarity with Joc Pederson and Yasiel Puig expected to retain their starting jobs in center and right field, respectively. Then a few weeks into camp, Carl Crawford revealed he was told Andre Ethier would be the primary starter in left come the regular season. The soon-to-be-34-year-old batted .294/.366/.486 with 14 home runs, 20 doubles, 53 RBIs, plus had a .366 wOBA and 137 wRC+ over 142 games last season. Ethier’s bounce back season came at an opportune time for the Dodgers, as Crawford and Puig were both lost for lengthy stretches due to injury. On Wednesday, Dodgers manager Dave Roberts had Ethier batting leadoff. Roberts pointed to the veteran outfielder’s ability to get on base as reason for the move, and Ethier again batted leadoff on Friday. 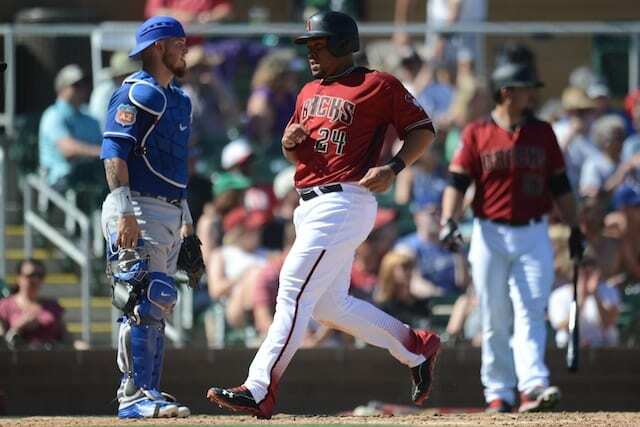 However, he was removed in the fourth inning shortly after fouling a pitch off his lower right leg. Ethier immediately went down to the ground, where he remained for several minutes. Dodgers head athletic trainer Neil Rampe and Roberts tended to Ethier as he attempted to shake off the pain. The veteran outfielder eventually rose to his feet, drew a walk and was pinch-run for by Rico Noel. Ethier was carted off the field in the fifth inning. Entering Friday’s game, he was batting .429/.500/.667 (9-for-21) with one home run, one triple, four walks and four RBIs in nine Cactus League games. Updates on Ethier’s status will be provided as they are made available.